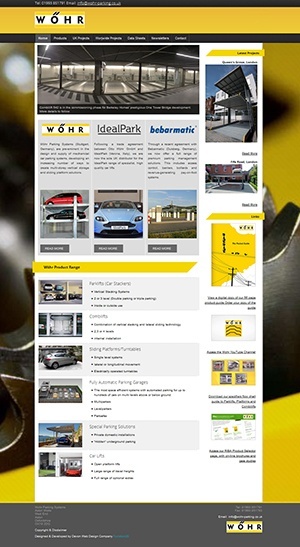 Wöhr Parking Systems, based in Germany, design and supply mechanical car parking systems. Developing an increasing number of ways to create multi-storey vertical storage and sliding platform solutions.They wanted a brochure style website to show off their amazing systems. The product range is very extensive, so we needed a simple navigation style to accommodate that. We were delighted with the results of our recent website re-design. Function28 brought a really fresh style to the site without losing any of the features and functionality that our customers are familiar with. The team at Function28 were also great to work with – responsive, creative and challenging and have produced a fantastic new site.